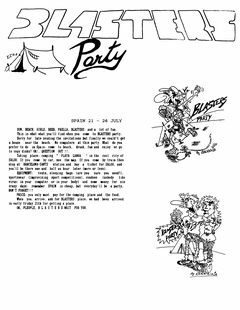 Blasters Party invite added thanks to Lotus/Ancients. This entry was posted in C64 Scene Stuff and tagged invite, Party, spain by Carsten Jensen. Bookmark the permalink.